The so-called “Frühlingstal”, what means spring valley, in the south of Appiano lives up to its name: snowdrops, liverworts and primroses start the awakening of nature already from the end of February on. 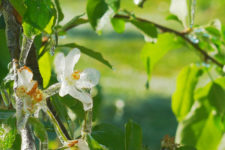 In April the whole country is a sea of flowers due to the apple blossom and the already warm May invites to plunge into the Lago di Monticolo lake. 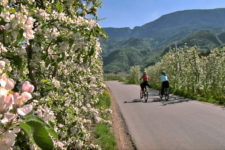 Appiano and its surroundings are perfectly suited for excursions, bike trips and walks in spring! Appiano on the Wine Road is the region which owns most castles of South Tyrol and is located between vineyards and fruit orchards in the Oltradige. The two near Monticolo lakes as well as the Caldaro lake offer relaxation and fun for the whole family. 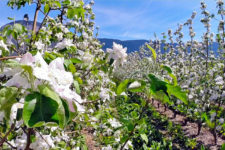 Whether easy walking tours, demanding mountain hikes or excursions by bike - in this region you experience unique culture, traditions, culinary delicacies and warm hospitality. Appiano and its villages are very popular holiday destinations during the grape harvest time, when the so-called Törggelen takes place. Here you are allowed to take a break from everyday life, to enjoy life over a glass of wine and delicate food. Whether on the mild hills around Monticolo or on the mountain tops of the Passo Mendola – Appiano is a real jewel in the South Tyrolean autumn! In Appiano on the South Tyrolean Wine Road winter is a period of quiet. The numerous villages in this area are convenient bases for winter visitors to do excursions to the skiing areas of South Tyrol. 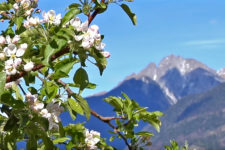 The villages are only few kilometres far away from the capital town Bolzano and the spa town Merano.